So, as as we’ve already established, “Oh god everything is woefully depressing” is the equivalent of a normal Tuesday on Game of Thrones. But man, these three new clips from season six are united in giving us an update on just how bleak events are for Daenerys, Cersei, and Sansa. 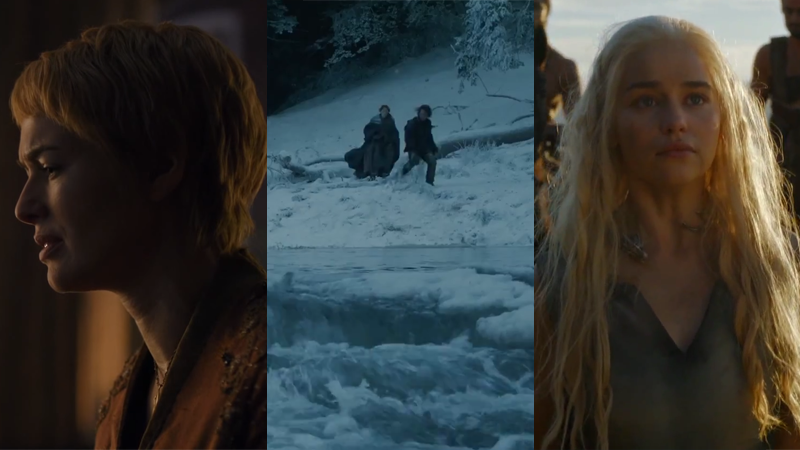 Released in the wake of yesterday’s new trailer, two of the clips are from the premiere episode of season six, “The Red Woman”, while the third is from the third episode. You can check them all out below, but not-so-spoilery-spoilers: everyone is generally upset at their current predicaments on Game of Thrones! Cersei’s all melancholic after learning about Myrcella’s death. Sansa and Theon make their desperate escape from the nightmare that is Winterfell under the control of Ramsey Bolton, and Daenerys finds herself back among the Dothraki at Vaes Dothrak. Arguably Daenerys is probably the least miserable of three, but that’s saying something when she’s in a situation where she’s been captured by hordes of armed warriors and might get killed at any moment. Cheery stuff! Game of Thrones is back on April 24th.